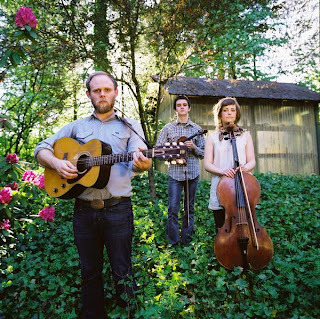 KXCI On The Air: Dawn Landes & Horse Feathers - Studio 2A and KXCI Presents! Dawn Landes & Horse Feathers - Studio 2A and KXCI Presents! A great double bill this Monday afternoon on The Home Stretch and tonight, May 17th, at Solar Culture. Horse Feathers and Dawn Landes are on tour together and they are both stopping in Studio 2A for live performances and playing a KXCI Presents! all ages show. Horse Feathers are a chamber folk rock group from Portland, OR. Their critically acclaimed sound trades acoustic strings for the normal electric guitars of indie rock, but retains a fragile and dark yet hopeful songwriting style. Their new album is Thistled Spring on Kill Rock Stars. 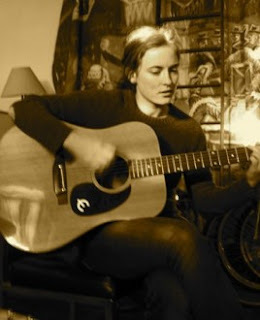 Dawn Landes is a singer songwriter based out of NYC. A sometimes member of Hem, Dawn's music can be sweet or spunky and is comparable to the contemporary artist's like Josh Ritter, Feist, Suzanne Vega and Andrew Bird, all of whom she has performed with. Her latest album is Sweetheart Radio on Cooking Vinyl. They both are stopping by the KXCI studios for acoustic performances between 4 and 6pm and then their full show starts at 9pm at Solar Culture.